Ammonium and ammonia mainly arise from fish waste. They are converted into each other depending on the pH value. 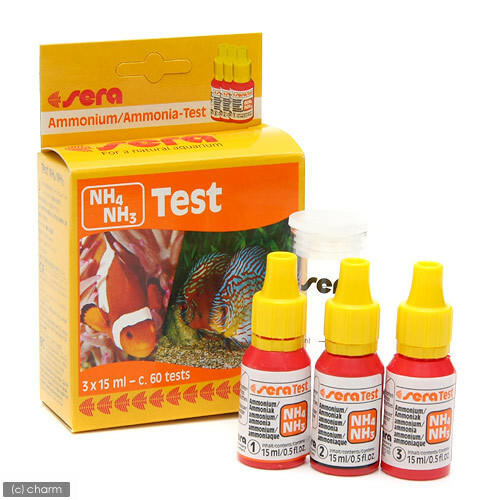 While ammonium is mostly harmless, ammonia is toxic to fish. The sera NH4/NH3-Test allows monitoring the total concentration of both (the actual ammonia level can be calculated according to the pH value the using the included chart). In case of acute danger, sera toxivec (freshwater) or sera pond toxivec (pond) provide help. 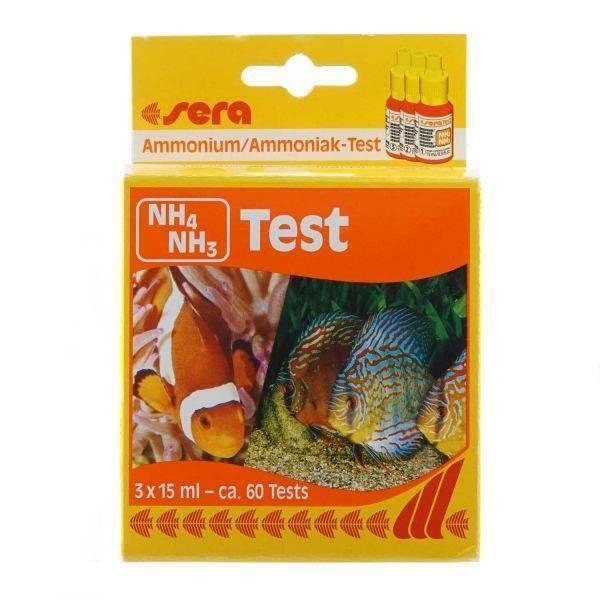 sera bio nitrivec (freshwater), sera marin bio reefclear (marine water) or sera pond bio nitrivec (pond) actively counteract lasting enrichment of these substances.